Inception – The App is the result of an effort made by Remote Control Productions, to take the film Inception, directed by Christopher Nolan and starring Leonardo DiCaprio, and recreate it in game app form. The app is sort of a promotional tool to get people pumped about this beyond belief film just in time for the DVD release. It is free and compatible with an iPhone, iPod Touch, and iPad. There are special requirements if you are going to download the app for an iPod Touch so check those out first. Are you ready with a pair of headphones to start the mind-blowing Inception experience? 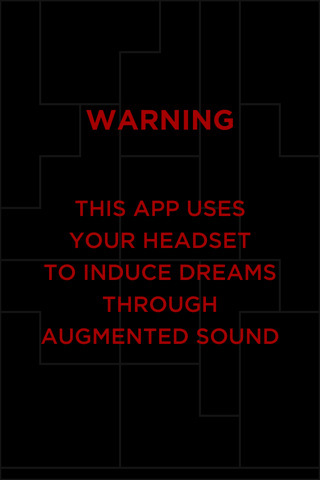 Well I hope so because this app uses your headphones to induce dreams through augmented sounds. “The different dreams appear by listening to your dream world.” Hypnosis? Oh, I am not sure, but I can tell you that I had to fight the urge to get rid of Inception-The App during the first 5 minutes of using it. The first thing you see is a tutorial explaining that, “the world around you is now in your dream.” The background then turns into a pulsating, soft red background. You start with options to try the Quiet dream, Sunshine dream, Reverie Dream, and Traveling dream and you can eject them at any time. The home screen is where you find the pieces of dream themes most of which are locked, or available only with the upgrade that should be coming out soon. The sounds change from dream to dream. Some of the sounds incorporate the soundtrack from the movie and others just intensify the noises that the microphone on your device is picking up from around you. Inception is defined by Merriam-Webster as an act, process, or instance of beginning, and I have been bored since the inception of this app into my collection. I have yet to see the movie so I cannot rule out that Inception-The App would be more fun with some relevant background knowledge. I will let you judge for yourself because after all, this is a free app, and there is no harm in trying it out. 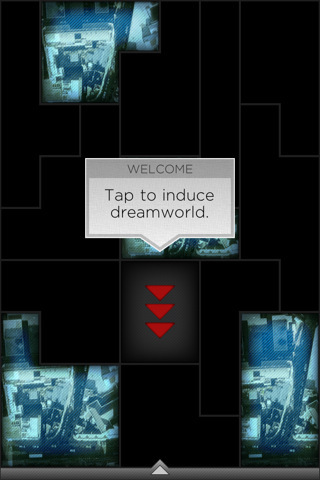 AppSafari review of Inception – The App was written by Vanessa Paszterko on December 10th, 2010 and categorized under App Store, Augmented Reality, Free, Games, Movies, Music. Page viewed 7410 times, 1 so far today. Need help on using these apps? Please read the Help Page. I’ve seen the movie and absolutely loved it (will probably purchase the DVD too) but this app was pretty much useless. Maybe it was so boring because it wanted me to fall asleep while using it? Either way, I’d rather be spending my sleep time in quiet. HAHA well OBVIOUSLY you’re supposed to fall asleep to it, considering the whole movie is about dreams.